Speaking at the “Meet Europe 2018” conference in Hanoi on May 25, PM Phuc said Vietnam is striving to rank in ASEAN’s top group and achieve high standards in the business environment, while strictly implementing commitments in intellectual property protection. 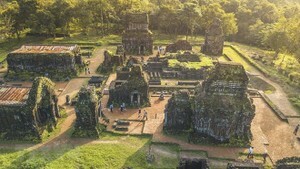 The country has also been encouraging renovation ideas and giving priority to high and environmental-friendly technologies, climate change adaptation, and State-owned enterprise restructuring, he said, adding that reform measures have been implemented in all 63 cities and provinces where European investors and businesses have been or will be running investment projects. The Vietnamese government’s efforts and effective cooperation from international partners, including those from Europe, have been blowing a breath of air and giving a new facelift to Vietnam’s economy, making it more dynamic and helping the country involve deeper in the regional and global value chains, said PM Phuc. The Government leader said that European partners are leading foreign investors in Vietnam with total investment of nearly 25 billion USD, and the country’s biggest provider of non-refundable aid, while two-way trade rose five times in the 2006-2017 period, exceeding 50 billion USD last year. PM Phuc held that Vietnam and Europe, with supplementary relations, are pinning high hope on stronger and more extensive partnership. The 93-million strong market of Vietnam, with 13 percent them being middle-class people, has seen increasing purchase power and strong startup movement, he said. The PM stressed that Vietnam always highly values investment and business operations of more than 2,000 European firms in Vietnam, especially in areas where Vietnam has demand and European firms have advantages such as infrastructure development, seaport, airport, airport, urban transport, energy, electricity, oil and gas, agriculture, tourism and health. Social organisations and European partners have shown their strong capacity in environmental protection, sustainable development, renewable energy, response to climate change, smart city development, smart agriculture, sustainable tourism and high-quality human resource training, PM Phuc said. He asked leaders of ministries, sectors and localities to create more favourable conditions for and tackle difficulties facing European partners and enterprises in Vietnam. 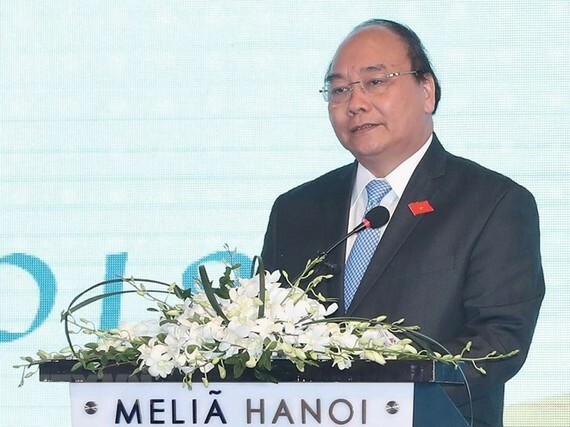 The government leader also expressed his hope that European partners will design long-term investment and business strategies in Vietnam, thus reinforcing connectivity with their Vietnamese firms. Miriam Garcia Ferrer, Head of the Economic and Trade Section of the European Union Delegation to Vietnam, showed her optimism about the prospect of the Vietnam-EU trade partnership amidst complicating trade protectionism in the globe. The EU is the second biggest export market of Vietnam, especially for its telephones, coffee, garments, and consumer goods, she said, adding that the EU is the fifth biggest investor in Vietnam. She noted that Vietnam is a leading ASEAN partner and one of the most important markets of the EU, stressing that the European Union-Vietnam Free Trade Agreement (EVFTA) will contribute to the enhancement of bilateral trade relations. Meanwhile, Co-Chair of the European Chamber of Commerce in Vietnam (EuroCham) Nicolas Audier said that the “Meet Europe 2018” is a special event showing unceasing efforts of EuroCham in Vietnam in legal consultancy that has been recognised by the Vietnamese Government. Meanwhile, Denis Brunetti, another Co-Chair of EuroCham, said that the EU has acknowledged the Vietnamese Government’s efforts in improving legal institutions and business environment and re-shaping the management of enterprises. Vietnam is moving forwards and needs partners supporting it in the development path, he said, pledging that European businesses will play the role as Vietnam’s important partners through their investment in the Vietnamese market. Co-organised by the Ministry of Foreign Affairs, the People’s Committee of Hanoi, the EU Delegation to Vietnam and EuroCham in Vietnam, the conference is among the largest business-to-government events of the year.